Caryl Crowell retired last year after forty-one years of teaching in the Tucson Unified School District. A longtime member of WLU and NCTE, she was a member of the WLU board for three years before serving as the president from 2015 to 2017. Caryl studied with the Goodmans, Kathy Short, and Luis Moll at the University of Arizona. 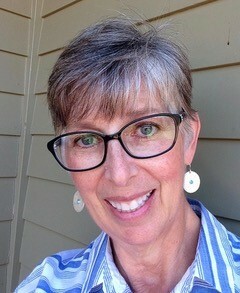 She has been published in edited volumes and professional journals and is coauthor of Inventing a Classroom: Life in a Bilingual, Whole Language Learning Community with Kathryn Whitmore. As a continuously engaged retiree, Caryl recently became a docent at the Arizona-Sonora Desert Museum. Purpose: The award is presented to a member who has, throughout his/her career, made an outstanding contribution to whole language in general and/or the Whole Language Umbrella in particular. long term commitment in speaking to and working with TAWL groups and WLU. Award Specifics: The recipient receives a plaque and lifetime WLU/NCTE membership presented by the WLU President at the Opening Sessions during the Literacies for All Summer Institute. Judging: The award is presented at the discretion of the WLU Executive Board and at the recommendation of the Awards Committee. No more than one such award will be given in any year, and there may by years when no award is given.